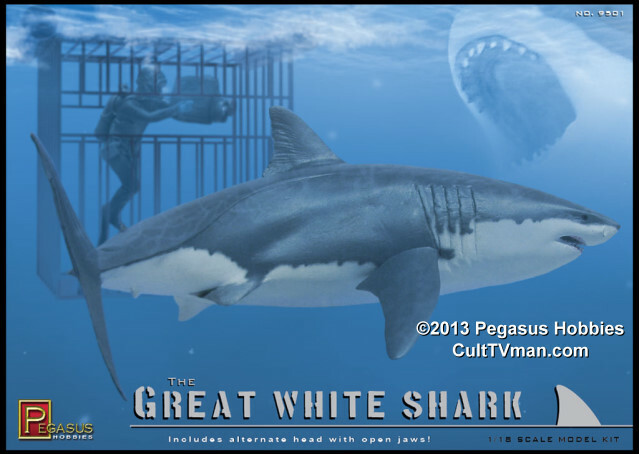 The Great White Shark is a 1:18 scale figure kit. The kit includes two shark heads so you can build it with your choice of open or closed mouth. 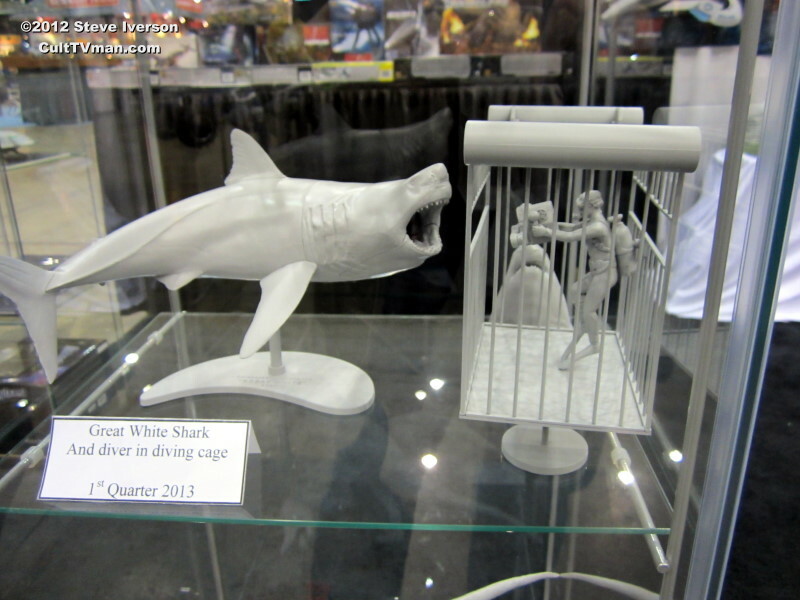 The kit also includes the diver and a cage. This model is molded from sturdy vinyl with plastic parts.